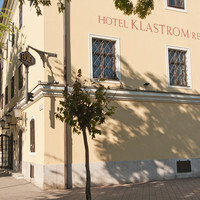 The Klastrom Hotel has been a representative building of the cityscape. 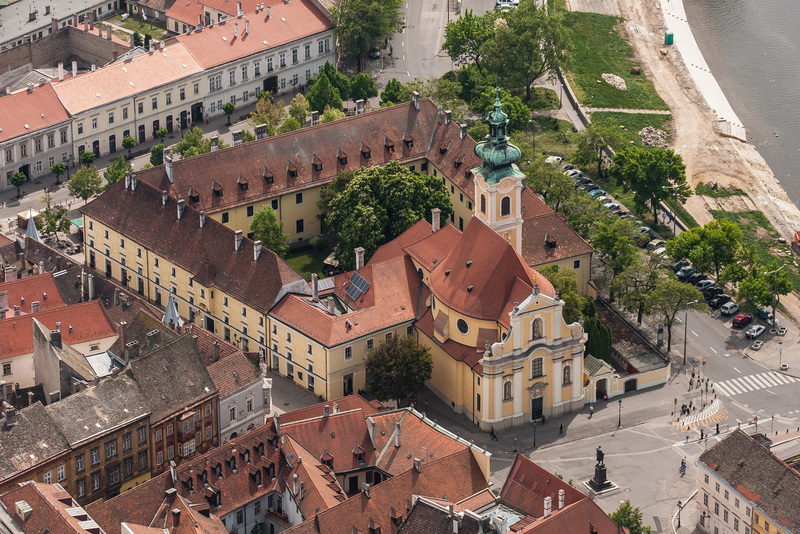 It was built in 1714-1721 as a cloister and church and has the characteristics of baroque style. The quadratic building boasts an inner yard. 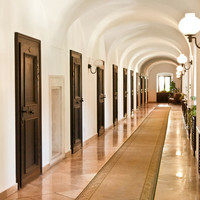 The rooms are located in the three wings of the building, those of the western wing facing the River Raab while those of the other wings looking onto the inner yard. The rooms are decorated with pictures of Győr 50 years ago. They have been established from the old cells of the monks aiming to keep the original atmosphere of them. All the 41 rooms of the hotel are equipped facilities such as bathroom, a TV and a mini bar to maximally serve our guests’ needs. We are open 24 hours a day. Our reception is welcome to help you with information about cultural events as well as with ticket reservations and organising programmes of your choice. The hotel exits right to the main street of the downtown with most of the sight being within only a few minutes of walking distance. 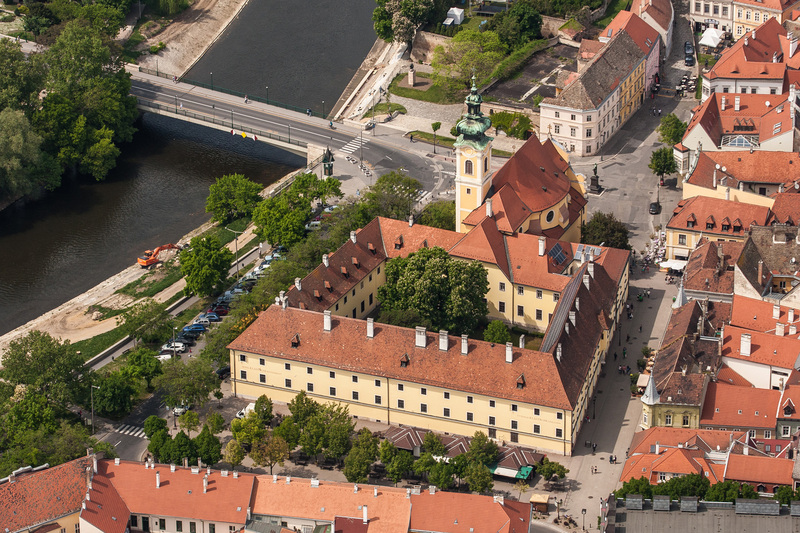 It is, for instance, no more than a short stroll to the Rába Quelle Thermal Bath and Spa. 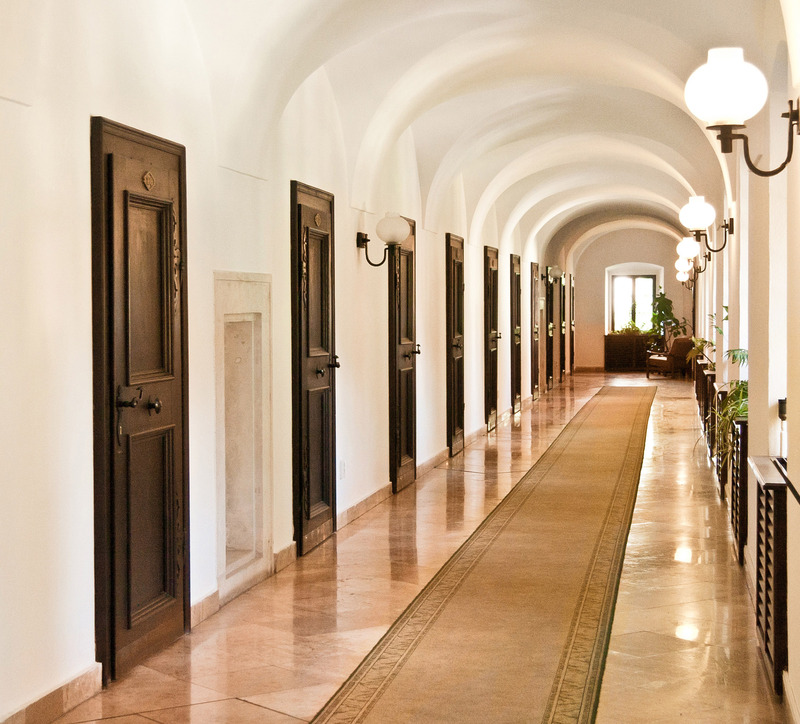 The rooms of the hotel have been established from the old cells of monks aiming to keep the old style and the original atmosphere of the baroque building as much as possible. All the 41 rooms, located in the three wings of the hotel, are equipped with facilities such as a bathroom, a TV , a mini bar and a telephone to provide maximum comfort for our guests. 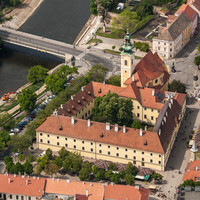 The rooms of the western wing have a view onto the River Raab and Radó Island whereas the others look onto the inner yard. Our double and triple rooms are equipped with a bathroom, a TV and a telephone. Most of our rooms also have a minibar and internet access. The bigger rooms have a sofa and a lounge as well. Our unique restaurant can accomodate 80 people, and our stone-vaulted cellar with a beer bar for up to 50 guests is just the perfect place to host smaller events. From spring to autumn, the inner yard terrace is a great place for outdoor catering and events for up to 100 people. The horse chestnut tree standing in the middle of the yard is the contemporaneous symbol of the building. 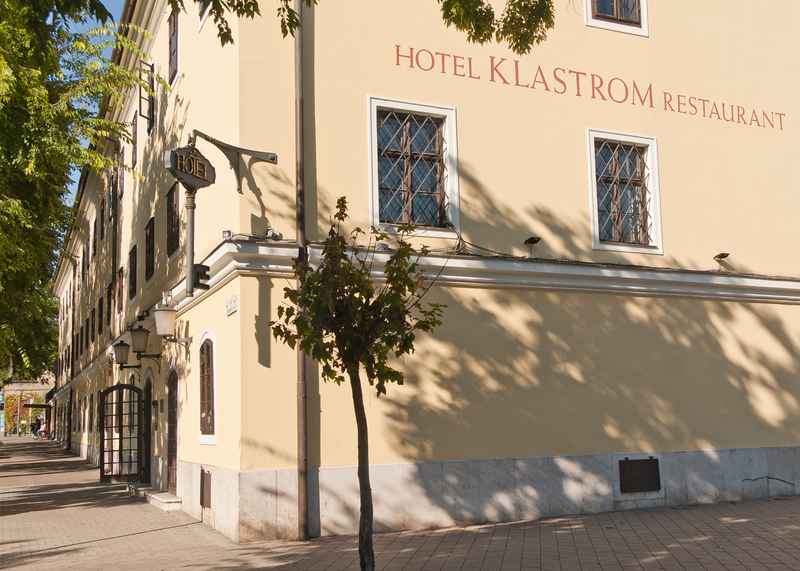 The Hotel Klastrom has been a determining building in Győr townscape for ages. 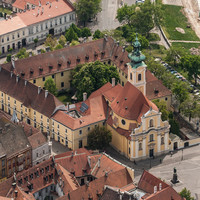 The cloister and church were built in 1714-1721 are cherishing the charasteristic of the baroque time.